Fifteen to One is coming back with a £40,000 prize! In each show fifteen contestants go head to head answering some of TV’s toughest general knowledge questions. It’s a gripping game of quick fire answers where the winner is simply the last person standing. Ultimately more than just a game of survival, Fifteen to One is a battle of supreme knowledge with the fifteen highest scoring winners returning for the end of the series final where they’ll compete for the title of ‘Grand Champion’. The Grand Champion of the series wins up to £40,000! Auditions are happening all over the UK - taking place exclusively throughout January 2014. The application closing date is January 17th 2014 but please apply quickly as audition spaces are limited. All applicants must be 18 years or over and be legally resident in the UK. Terms and conditions apply. You can only apply once so please only send one completed application form. N.B: successful applicants will be granted one audition only. 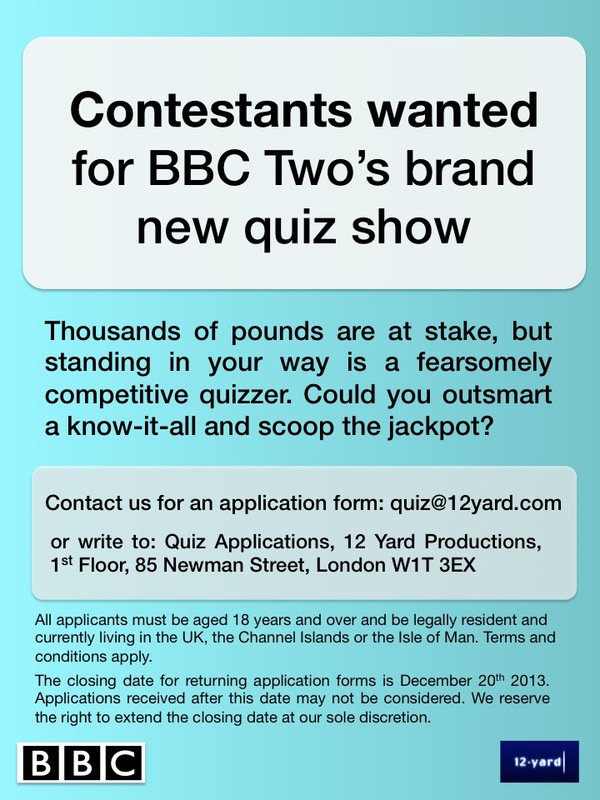 An exciting new quiz show is looking for Contestants NOW! Remarkable Television are looking for chatty, confident and QUICK THINKING contestants to appear on this new show. Nationwide auditions will be taking place in January & February 2014, so please get in touch now. The programme is a general knowledge quiz where contestants attempt to win thousands of pounds. Standing in their way is the fearsomely competitive Egghead, CJ de Mooi. Can you outsmart a know-it-all quizzer and scoop the jackpot? If you would like to apply, you can download an application form from here, and also see a flyer here. ITV are looking for teams of 3 to compete against a team of 3 celebrities based on their knowledge of television, with the chance to win a prize of £3,000. Victory Television, makers of "Who Wants To Be A Millionaire? 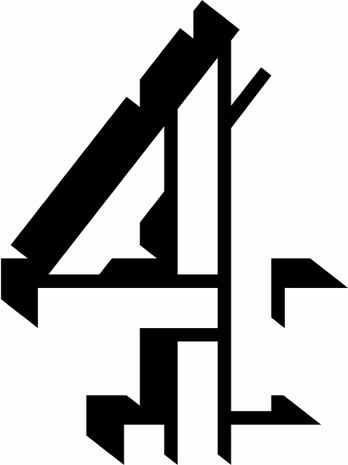 ", are looking for contestants to take part in a brand new Channel 4 game show. Test your creativity and have the chance to win some cash, in this exciting competition! For an application form please email gameshow@victorytelevision.com now!